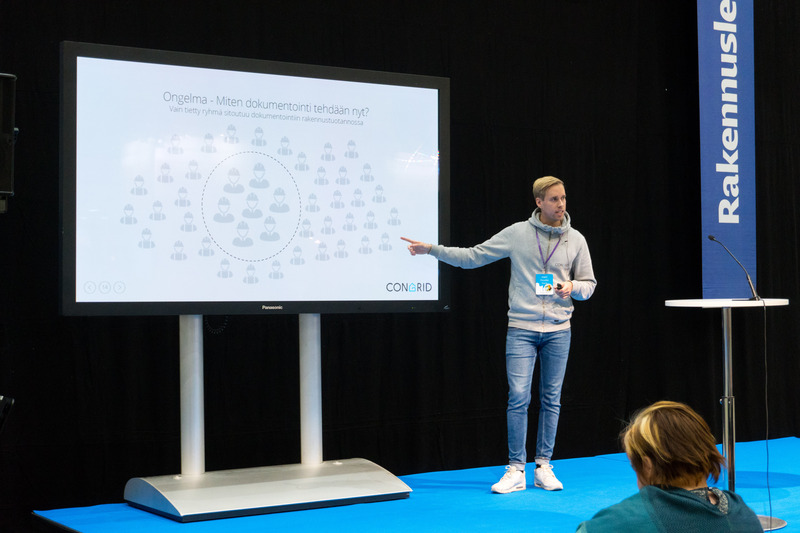 Co-Founder, Matti Huusko held a speech about using mobile tools to make projects more profitable. This blog text is a brief summary about Matti's points. In the Finnish construction industry safety and quality levels are high as measurements, observations and operations have developed quickly in the past decades. However, office job's amount keeps increasing although site managers should be at worksites. Researchers have pointed out the importance of digital solutions in the construction industry already 13 years ago. If you want your company to succeed, you must understand digital solutions' role as a competitive factor in the changing world. Another issue Matti talked about was how to increase productivity in the construction industry. One reason for the slow development of productivity is inefficient documenting: only few people make quality and safety inspections which e.g. slows reacting to defaults. We must change the whole communication culture in the construction industry to increase productivity. Changing the communication culture is not a quick process but it will save considerably much resources and costs in the long run. Co-operation with younger organizations might ease the change as growing companies constantly have new innovations and they are able to react quicker than older organizations. Do you want to hear more? Contact our myynti at sales@congrid.com.